Fall dining wouldn’t be complete without delicious, succulent pears! Yes, you could add them to a salad, or make a pear tart, but what about a SOUP?!? 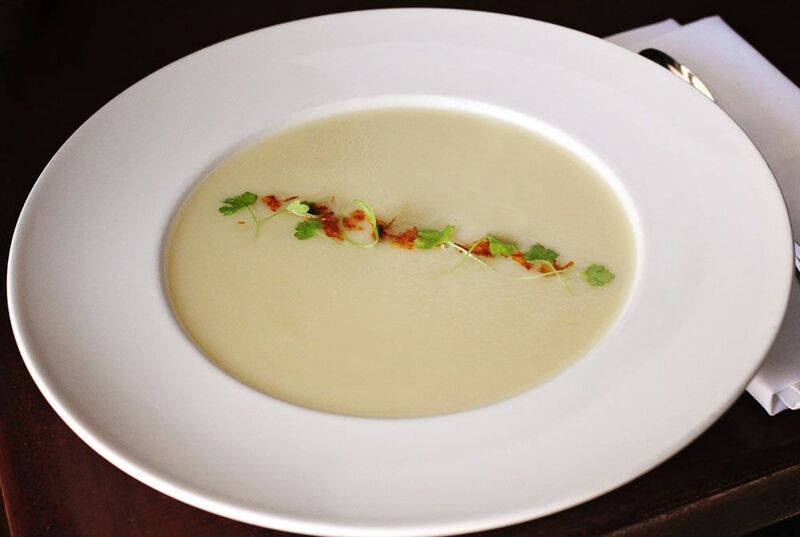 Esquire Grill’s new Chef, Scott Ostrander has taken pears to new heights with this flavorful (and vegan!) fall soup. Peel the Pears and quarter length wise. Cut the core out at an angle. Cut pears into chunks and place in a medium sized soup pot. cover with ½ Cup of White Wine and 4 cups of vegetable stock. Bring to a simmer and allow to simmer about 25-30 minutes. Pears must be soft and tender. Transfer to a blender and blend on low for 1 minute, then on medium for 1 minute and then on high for 1 minute. Transfer to a bowl and whisk in sugar and salt. Use a spice grater to season with star anise or cinnamon. Serve warm or chill in the refrigerator and serve cold.